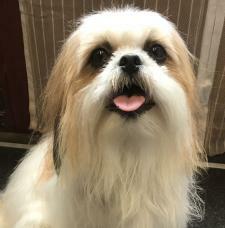 I am absolutely passionate about dogs. For over 10 years I was a health and safety adviser but knew that I always wanted to work with dogs. 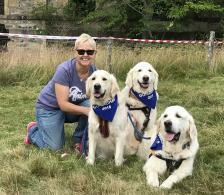 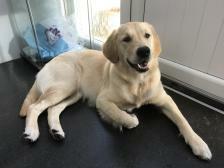 I have 3 golden retrievers, 2 of which have been shown at crufts and 2 terriers that I rescued from Thailand. I left my job in 2014 to start my own dog grooming business and it was the best decision I ever made. 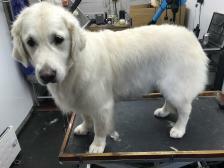 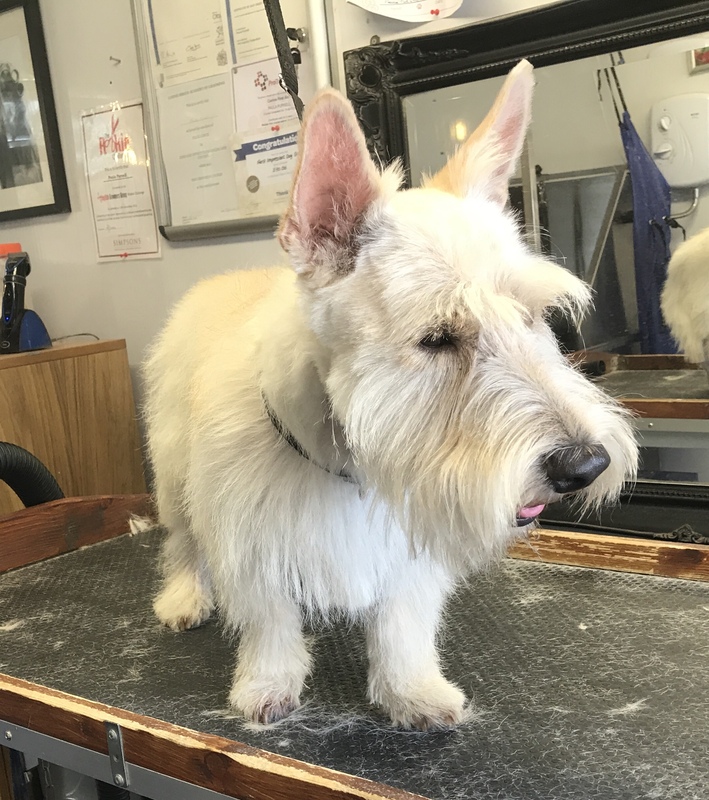 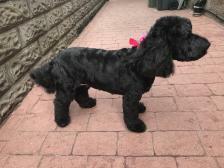 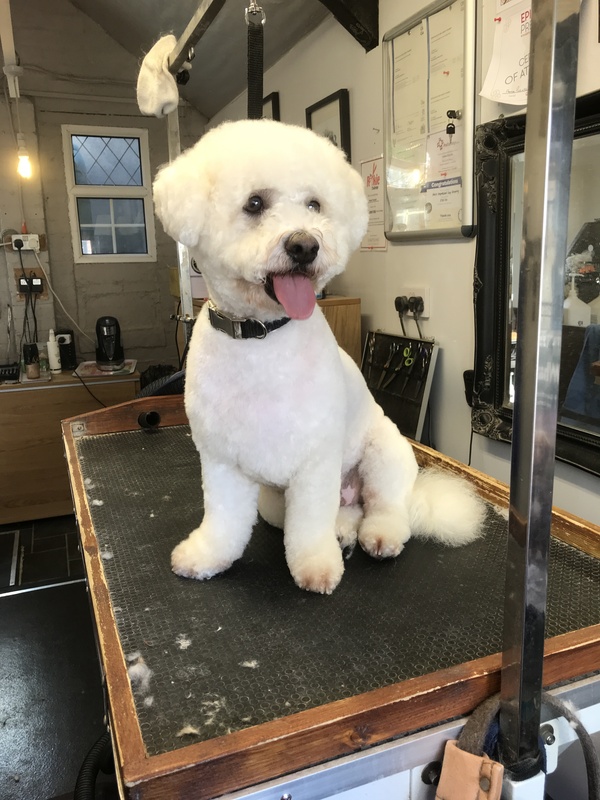 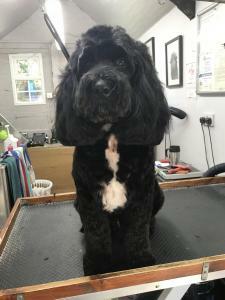 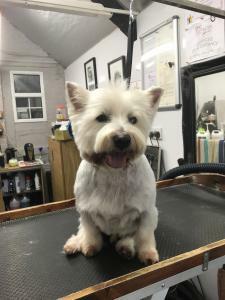 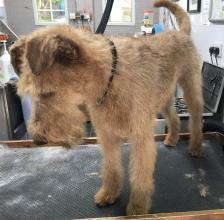 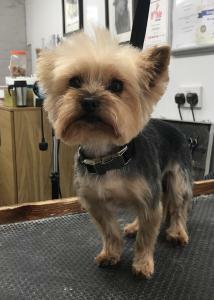 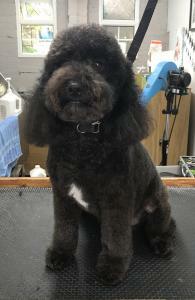 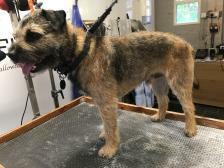 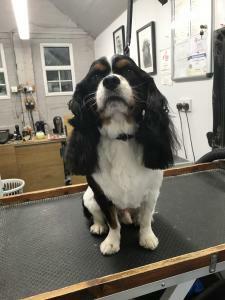 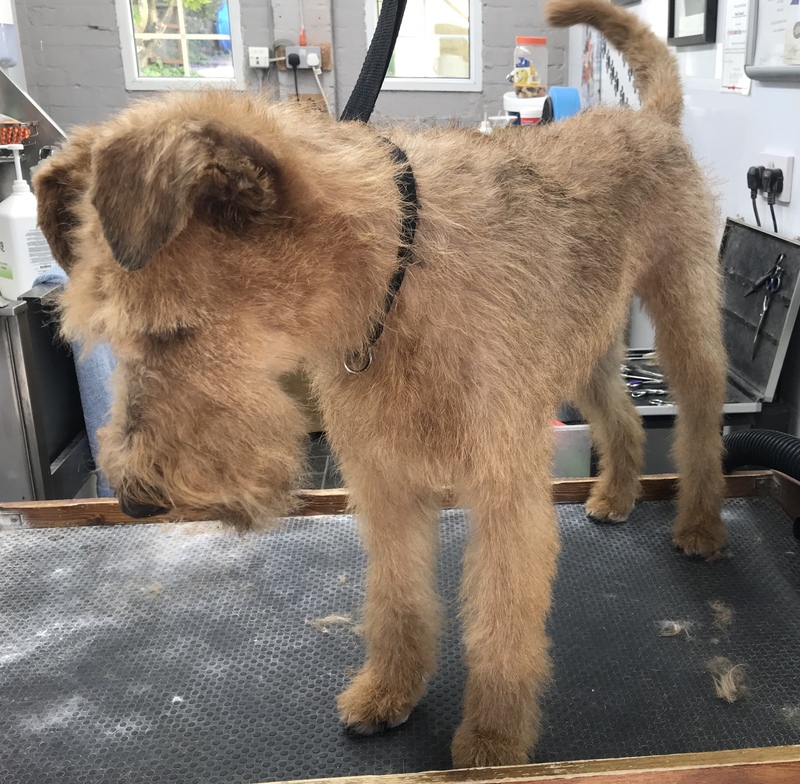 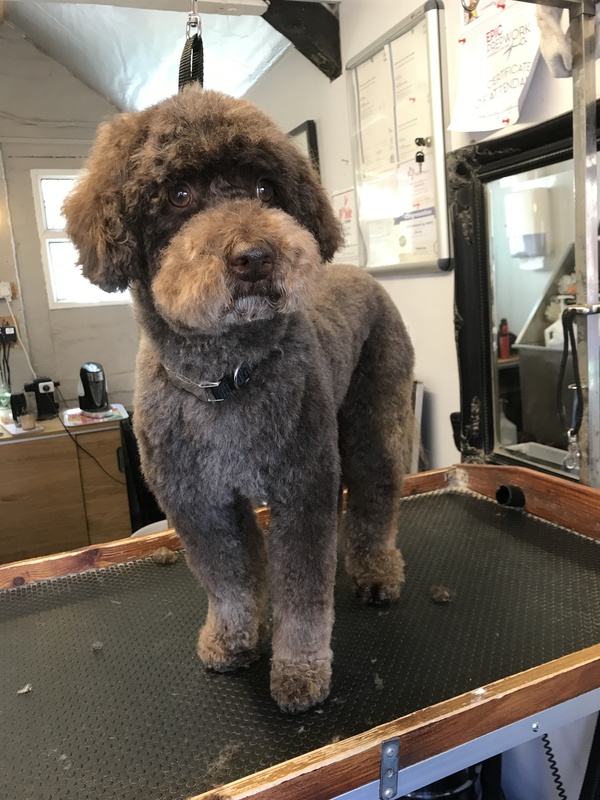 I groom one to one which means there is only one dog in the salon at any one time which results in a calm environment especially for nervous dogs. 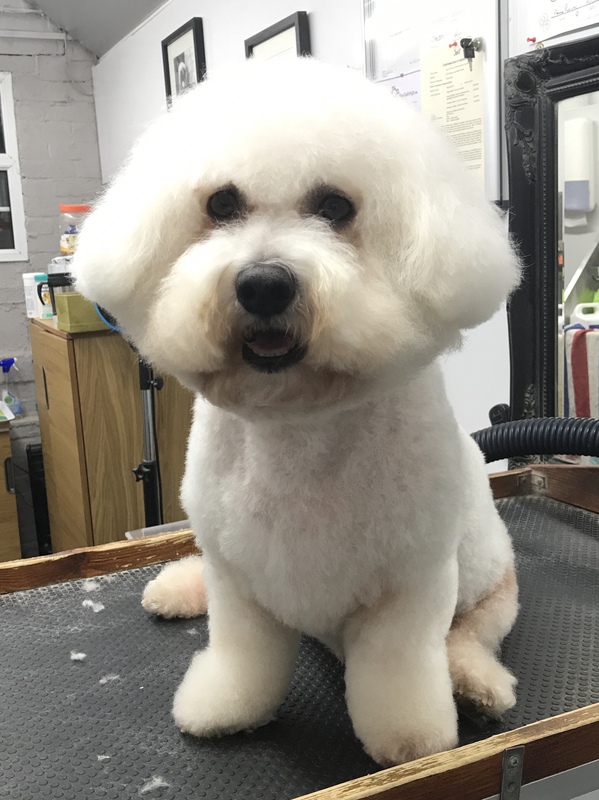 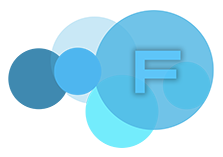 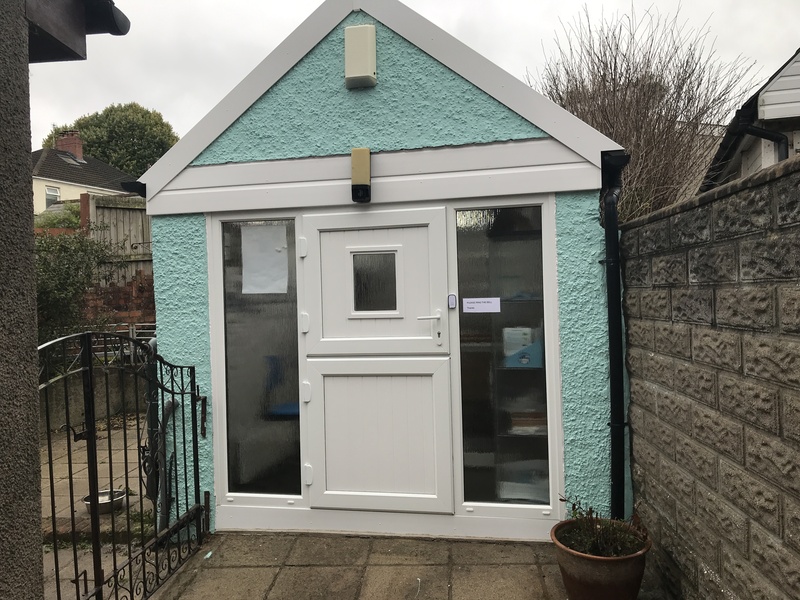 I completed the City & Guilds Introductory certificate in 2013 and City & Guilds Diploma in 2018. I regularly attend grooming seminars to continuously expand my grooming knowledge and to keep up to date with new styles and techniques. My salon is a converted building at my home and I offer a professional and personal grooming service.